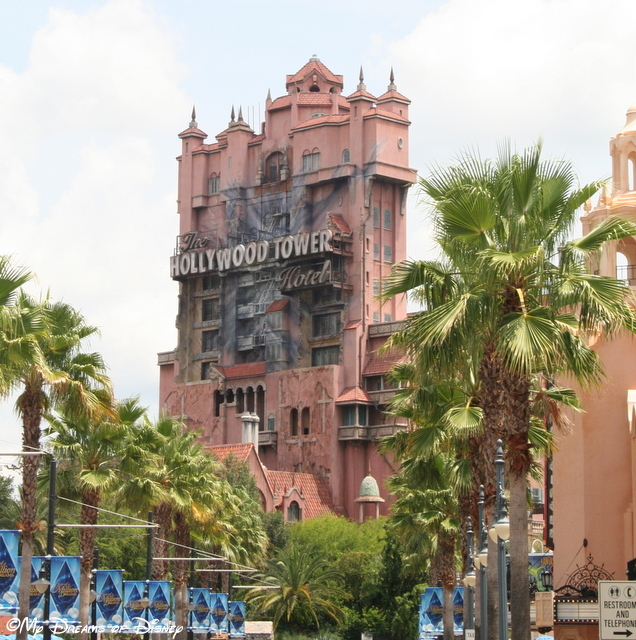 The Twilight Zone Tower of Terror is our choice for #Day21 of our #DisneyWorldCountdown! Hello everyone, and welcome to #Day21 in our #DisneyWorldCountdown! Today we are taking a look at the Twilight Zone Tower of Terror, which, I will admit, is a ride that I have absolutely no love for! There are some things that I think are really great about this ride, but the part I dread the most — the “elevator ride” — is something that I truly do not look forward to, and I rarely take in this attraction anymore! The Twilight Zone Tower of Terror is not my favorite ride! 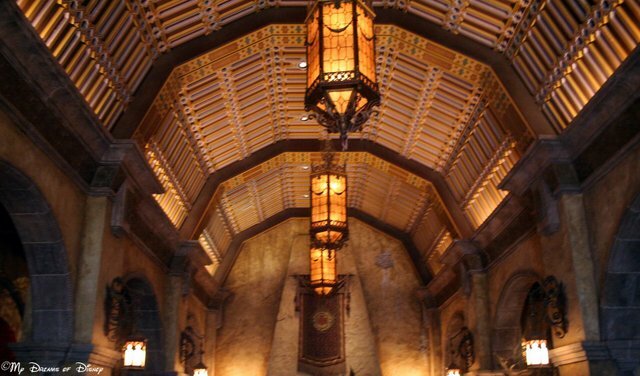 The backstory behind the Tower of Terror is, in my opinion, one of the very best at Disney. From incorporating Rod Serling and the Twilight Zone into the tale, and the way that they have decorated the queue line, it all builds up to a great backstory. 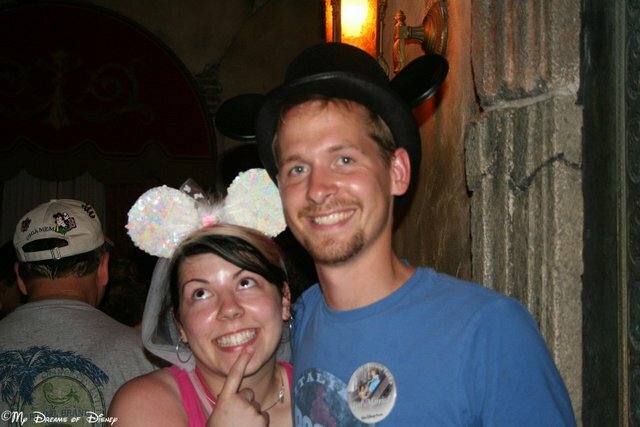 We met new friends who were just married when we were in line to ride it back in 2008! 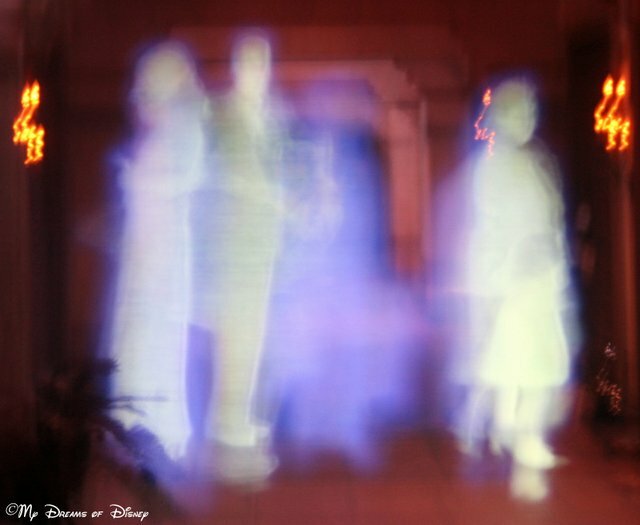 The ghosts stare at you as you approach the elevator to your “room”! The Imagineers do a great job of building up the tension as you approach the elevator. You’ve got the Twilight Zone story, and the ghosts, and the darkness when you don’t know what is going on, and then, a terrifying drop! I will admit, though, that the building is great, especially at night! What about you, though? 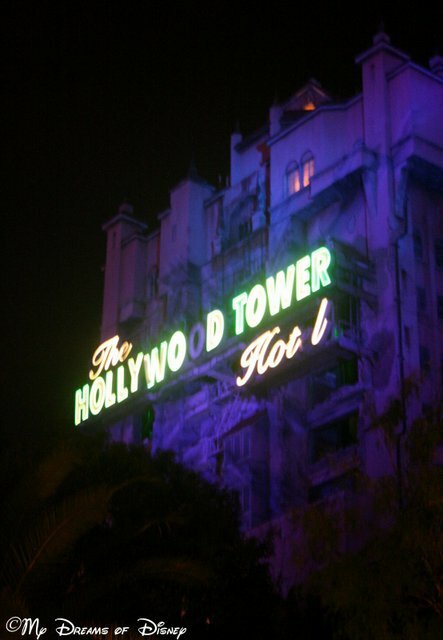 Do you like the attraction, or are you like me and can’t stand the “elevator ride”? Let me know in the comments, and thanks for stopping by today!